This is a worrisome message to receive from a student for a few reasons. For one, the student waited until a week before his exam to ask for tips. The other issue, though, is particularly troublesome and harmful for the student. Unfortunately, it’s a natural mental model that students use to evaluate themselves, but it limits their ability to really assess themselves. Can you see this troubling mental model? 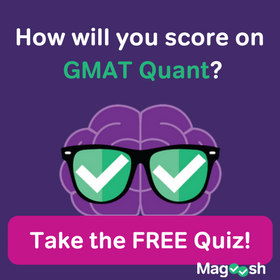 This student, and many others, assess their GMAT level timed and untimed. This is grave mistake. Let’s talk about why. The GMAT, an imperfect assessment, is still better than no assessment tool, and it is better than many other assessment tools. We are stuck with it, so there is no use groveling over the limitations or berate its inadequacy. We have to take it as it is. Many students start their studies without a timer. When learning a new skill, or even reviewing a concept that hasn’t been seen in a decade, this is fine. But very quickly, students need to transition to timed practice. The most important reason is to abolish this idea of an untimed score. I’ve had students take practice tests untimed. Students have completed whole sections untimed. Other students have worked through sets of problems untimed. All of this is not as helpful as it could be. Yes, it is important to see the practice problems. Yes, students need to refine their ability to identify the question and wrong answers. But really, they should do this in a timed environment. When students complete a section untimed, they aren’t truly preparing for the GMAT. They are overlooking a major component of the test—the pressure of time. They answer questions in a roundabout way without unearthing a shortcut. They get a question right, which really should’ve been wrong, and thus don’t take the time to review the answer and the explanation for it. The most egregious error is what we saw in our imaginary student at the beginning. The student thought that it was important to distinguish between timed and untimed ability! There is no such thing. 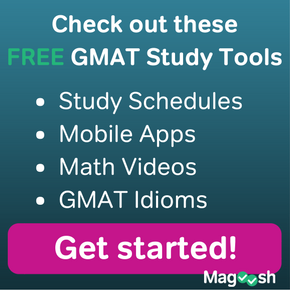 All that matters is your timed ability when it comes to the GMAT. Bifurcating your ability doesn’t help. Of course, a student may be stronger and commit fewer errors when there is no time pressure. But that has nothing to do with the GMAT. Students must understand that their ability is only based on the limitations established by the test. 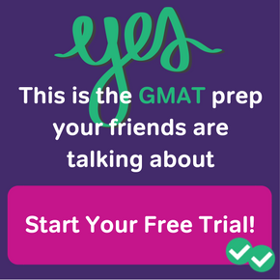 Don’t fall into the misconception that your GMAT score is somehow connected to your untimed abilities. As soon as possible, practice under time restraints. Although the timed GMAT is not a perfect reflection of your math and reading ability because of its limitations, it is all that we have. We have to work under its limitations and understand that we have no other option but to consider our level in the terms that are set down. So don’t even think about your untimed accuracy. Don’t even think about your predicted score without have a time pressure. All that matters is what you can do when the timer is on, ticking, ticking, ticking down to zero.